Nanjing Children’s Hospital was founded in April 1953, formerly known as the Sacred Heart Children’s Hospital founded by the Franciscan Missionaries of Mary in 1936. In 1999, Nanjing Children’s Hospital became an affiliated hospital to Nanjing Medical University and now it is a comprehensive pediatric medical institution with medical, research, teaching, prevention and rehabilitation. 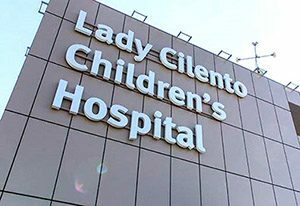 Officially opened in November 2014; the Lady Cilento Children’s Hospital (LCCH) is part of a $1.5 billion project located in South Brisbane, Queensland, Australia. It is Australia’s largest and most technically advanced pediatric health facility and is the hub of the Children’s Health Queensland Hospital and Health Service. 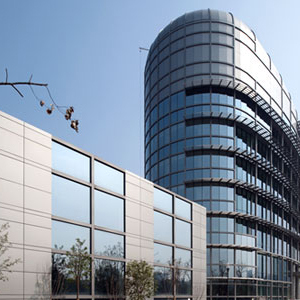 This large multi-storey building is supported by Molex PowerCat 6A U/FTP copper cabling infrastructure, PowerCat 7A S/FTP cable for future proofing with OM3 and OS2 pre-term and trunk fiber backbone. The Olympia Eye and Laser Centre in Windhoek, Namibia is committed to leveraging advantages tied to the fast-paced evolution of sophisticated technology in their operations. 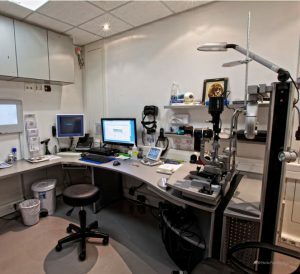 Owned by a leading Namibian ophthalmologist, Dr Jonathan Joffe, this home to office conversion lies adjacent to his private residence where both home and office are fitted and fully supported with Molex PowerCat Cat5e, Cat6 and Fibre Optic solutions. Bekaert is a world market and technology leader in steel wire transformation and coating technologies. The Company’s ambition is to be the preferred supplier for steel wire products and solutions by continually delivering superior value to customers worldwide. UAE based company Gulftainer is the largest, privately owned, independent terminal operator in the world. Its international presence spans over three continents including the Middle East and the Americas. For more than 38 years, Gulftainer has been delivering world-class performance to its customers, continually striving for a faster turnaround of cargo, trade and fortunes for promising new economies. Ordos city is located in the south west of Inner Mongolia; it is the second largest city and the local economic centre for the Inner Mongolia province with a total area of 53,905 square miles and a population of two million people. Ordos used to be famous in China with its abundant coal reserves and luxury cashmere products. Now, with the rapid growth of China's economy and the internet, Ordos has become one of the most desirable locations in China for building data centres, thanks largely to its outstanding location and climatic conditions, abundant energy and land reserves, strong economy and diverse talent pool. Launched in 2012, BeiDou System is a global navigation satellite system developed and operated by the Chinese government delivering continuous passive positioning, navigation and timing services for most of the Asia – Pacific region. 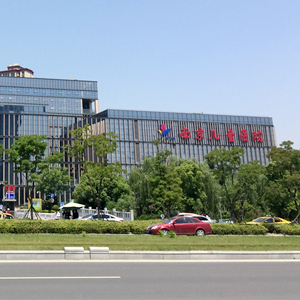 In support of BeiDou’s technology evolution and business expansion, premier supplier BDstar Navigation Technology Co. Ltd constructed a new office tower in the Beijing Zhongguancun Yongfeng High-Tech Industrial Area.